I am your Inn Keeper, Pamela Jean Young. It has been a lifelong dream of mine to have an Inn, so everyone who visits can enjoy the Island as I do. Come share in the history of Jackson Harbor, it will be a pleasure to meet you! The Jackson Harbor Inn house was built in 1904 by Rasmus Hansen. He owned the dock and the land next door now known as the Ridges. Shortly after, he purchased Rock Island. He sold Rock Island a few years later to Mr. Thordarson so his wife could return to her homeland for a visit as she was homesick. Rasmus had a general store in the building. He was a boat builder and a commercial fisherman for many years using the upstairs of the newly renovated Harbor House to mend his nets. His son Art took over the Inn and added cottages on the Ridges which he rented out till the 1970s. Then he sold the dock and the Ridges to the town of Washington. 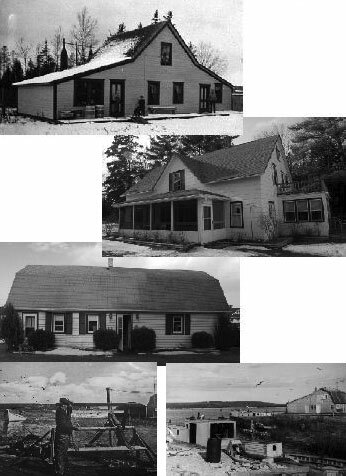 The Inn has had a variety of owners since. In 2006, I purchased the Inn and started an intense remodeling – updating and enhancing the beauty of Jackson Harbor. My grandfather, Fred Young, was a commercial fisherman and I grew up right around the corner from the Inn. My father, Larry Young, has been a builder on the Island for over 30 years.